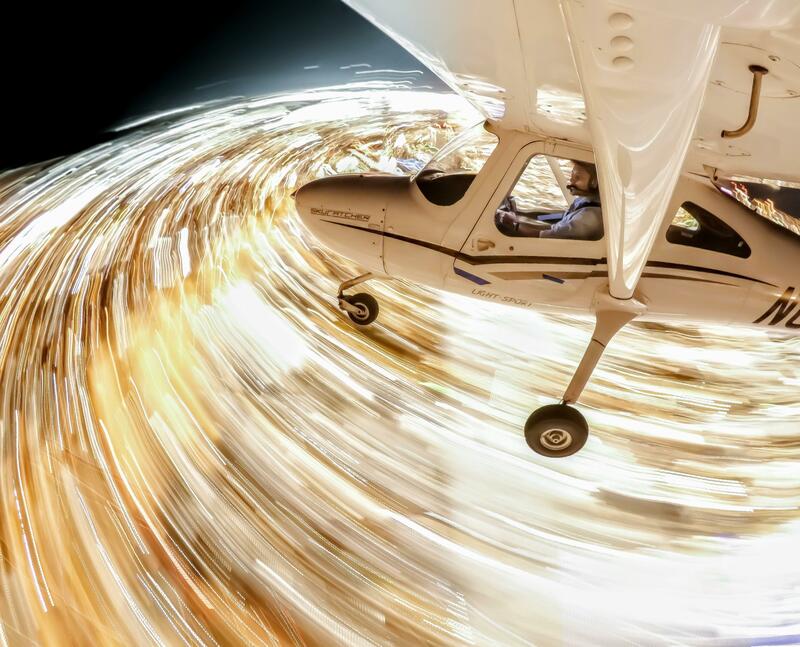 The photographer mounted a GoPro on the wing of the airplane and took a single 5-second exposure just as the plane was taking a turn. And the result is astonishing. Because the camera and plane were in the same plane of reference, the plane and the pilot are sharp while the city below seems to cast a light trail. Usually the camera is stationary and the subjects move during a long exposure, but the opposite is happening here. This is indeed a creative shot, and it gives a whole new meaning to long exposure photography!